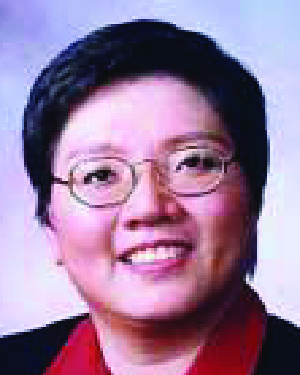 Dr. Ang is a distinguished alumna of the Carlson School of Management, where she received her doctorate in management and information systems in 1993. Three years after her graduation she was appointed head of the division of human resource and quality management at the Nanyang Business School, Nanyang Technological University. She rose to the top in eight years, having led several divisions in addition to directing international centers of research. Dr. Ang has recently been appointed the first of three endowed chair professorships at her institution—the Goh Tjoei Kok Chair Professor in Management and executive director of the Center for Cultural Intelligence. She also currently serves as academic adviser to the Singapore Ministry of Defense’s Center for Leadership Development. She has received many awards and honors, including Researcher of the Year by Nanyang Business School in 2004. She has been widely published in the top journals in her field and appointed to senior editorial positions. She is highly sought after as an examiner and promotion and tenure assessor around the world including Hong Kong, Norway, Australia, and the U.S.
Dr. Ang is most noted for her important developing a way to measure the concept of “cultural intelligence.” Before her work, there was no reliable diagnostic measure. Dr. Ang teamed up with a cognitive psychologist to produce the groundbreaking book Cultural Intelligence in 2003 and then developed an instrument to measure cultural intelligence. This has had a major impact on the field of international education and cross-cultural training and counseling. Her ideas on cultural intelligence have been described as the most cogent, well researched, and comprehensive. Her follow-up book Cultural Intelligence in Practice is due to be released this year. In naming Dr. Ang as a recipient of the Distinguished Leadership Award for Internationals, the selection committee cited the impact of her work on cultural intelligence. They were impressed by her as a public intellectual and by her distinguished group of supporters.